Hey Bike Partiers! 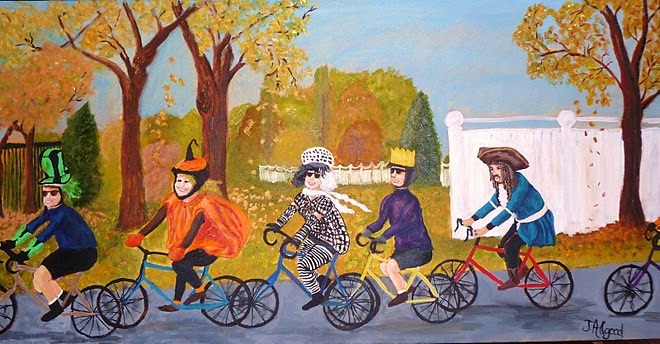 This year Bike Party falls ON Halloween night! This is an event you (and your friends) don’t want to miss! As always, meet at St. Mary’s Park at 6:30pm and we will be rolling out AT 7pm! We will be riding with the WEST COAST RULES, so brush up on how to maximize the fun! We will be ending at the Baltimore Museum of Industry for a great after party ’til 11pm. There will be a costume contest at the after party with epic prizes so be sure to dress up! At 11pm, we will have an AFTER after party at Little Havana Restaurante y Cantina next door to finish off the night! Check back here for more info and be sure to check out our Bike Party Poster for this month!